Are you thinking of getting a new Yamaha keyboard? On this site you will find reviews to help you choose the best one for YOU. I want you to save time. There's no need to go through the hassle of visiting one site after another. You don't have to painstakingly scour the Internet to find out whether or not a keyboard is right for you. I want to make it as easy as possible for you to find a keyboard with just the right features. Nothing more... nothing less. I want you to save money. Why buy a keyboard with feature after feature that you have no use for? You're better off investing your money elsewhere or getting something cheaper. Don't throw money away. I will help you invest wisely. I've done all the hard work for you. Every time Yamaha comes out with a new keyboard, I spend weeks and months learning all about it. I visit forums, blogs and websites, watch videos, buy magazines, and read review after review from actual customers. That way, I get a feel of what the keyboard offers. I read all the pros and cons about the specific keyboard and get a general idea of whether it is good or crappy. Most importantly, I have hands-on knowledge of the keyboards I review. I visit musical instrument stores on a regular basis to play the various keyboards listed on this site. This helps me write a reliable review. I'm also a Yamaha customer and keyboard owner (who plays both solo and with a band) and have owned a number of Yamaha keyboards over the years. While the views on this site are largely my own, I don't take the opinions of other customers lightly. That way you get a general feeling of the consensus among keyboard players as to whether or not a particular keyboard is worth buying. I've been writing keyboard reviews for over ten years now and have earned a reputation as a reliable reviewer. I'm thankful for all the visitors who send me positive feedback and who keep returning to this site over and over again since it was launched in 2003. While I must admit that I love the Yamaha brand, I'm not afraid to call a spade a spade. If the features of a particular keyboard are below standard, or if it's simply a waste of money, I say so. If you're better off spending your money on another keyboard, I'm happy to say so. There are many new Yamaha keyboard reviews on this site for you to check out. There are various kinds of keyboards for you to read about depending on your interests. They include beginner to advanced portable keyboards, synthesizers, workstations and digital pianos. You can get quick and easy access to my research and experience, right here! Click here to find about Rocket Piano. Learn how to play piano and keyboard with these excellent lessons. Obviously, many beginners are interested in improving their skills and becoming better players. For this reason, I make a few recommendations of the best online keyboard and piano lessons available online. Be sure to check it out. Whether you're a beginner, intermediate or advanced player, welcome to Yamaha Keyboard Guide.com. I'm not here to waste your time. My purpose is to give you the relevant information that you deserve. Here we go! I trust that you will profit from the reviews on this site. 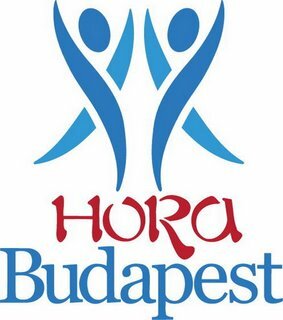 Írta: Hora Budapest Idő: 12/20/2015 03:48:00 du.